From Fork Truck to Multi Movers we have it all! 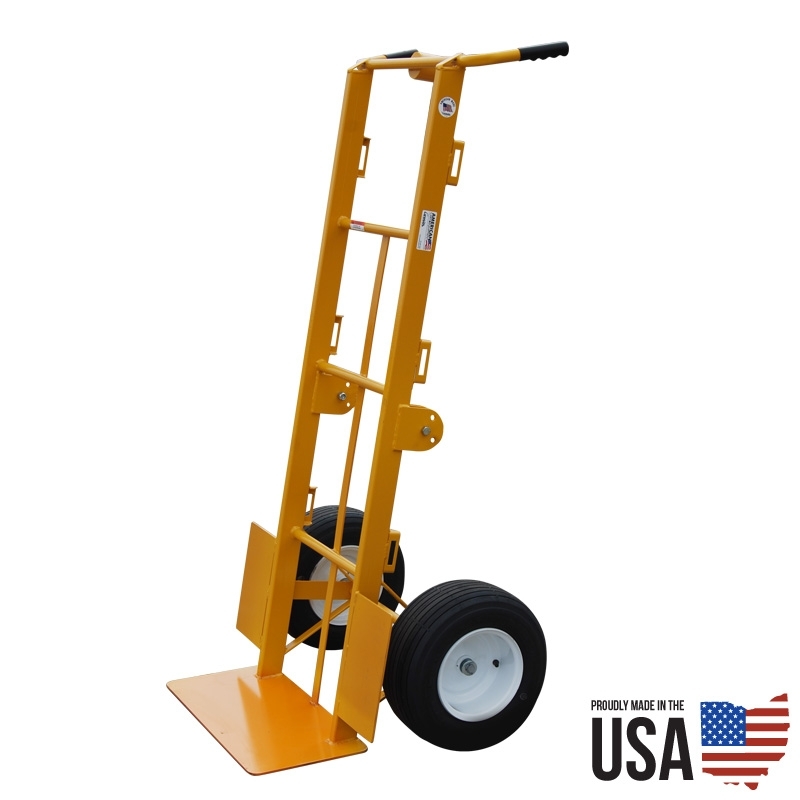 American Cart hand trucks are manufactured by Granite Industries in the USA. Every aspect of the cart is designed in house, welded in house and assembled in house. American Carts are individually powder coated using a world class powder coating machine. 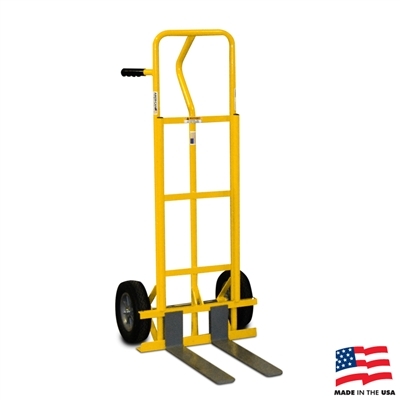 The Fork Hand Truck is brilliantly simple piece of equipment! Adjust the forks to the optimum size for the load and carry away 500 lbs with ease. Made from top quality carbon steel and featuring no flat tires, this cart is built to be worked hard. The Multi Mover is your transport solution for large oversized loads. The 10” No Flat Wheels provide you with a peace of mind that you never need to worry about flat tires, reducing down time. New and improved, welded one piece frame makes the cart even more durable, extending the lifespan of your cart! There is an entire line of Multi Mover hand trucks to ensure you have the perfect solution for any job. Tired of getting stuck with a cart full of 50 lb bags? The Mega Hauler from American Cart is designed to handle the biggest loads (up to 1,000 pounds) you can carry. The 13″ large flotation tires to easily move through areas that would normally stop a standard handcart. We have fork truck setup in booth N1348. Feel free to stop by. We’d love to go over the features and build quality of our hand trucks.